Chinese smartphone manufacturer Xiaomi tripled its profits in the fourth quarter of 2018, as a focus on international markets and an increasingly diverse portfolio of products helped it combat device saturation and the economic slowdown in its homeland. Profits rose from 550 million Yuan (£62.1m) to 1.9 billion Yuan (£214m) during the quarter, beating estimates of 1.7 billion Yuan. Meanwhile, revenues increased from 35.1 billion Yuan (£4bn) to 44.4 billion (£5bn). The figures come at a time when smartphone shipments are decreasing due to a combination of longer refresh cycles, a perceived lack of innovation, and a lack of new markets to explore. Can Three help Xiaomi crack the UK? "Our entire operating expense for the year 2018 was still below 10 percent of our revenue and what we have done is, you know, we kept forcing ourselves to be more efficient as a company and return the savings to our users," Xiaomi CFO Shou Zi Chew told CNBC. "This is the reason why we were successful in 2018 and this is the reason why we will be successful going into the future." Aside from China, Xiaomi has enjoyed considerable success in countries like India and Indonesia, while it plans to sell its high-end devices – such as the recently revealed Xiaomi Mi 9 - to European consumers through a partnership with Three’s parent company CK Hutchison. According to IDC, Xiaomi increased its smartphone shipments for 2018 by 32.3 percent. 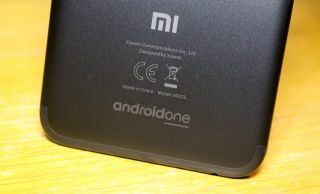 Xiaomi also sees connected devices and the Internet of Things (IoT) as areas for growth. Its range includes connected washing machines, vacuum cleaners and televisions, while it has overtaken Apple in terms of wearables shipped. Xiaomi is also increasingly turning its attention to Internet Services, which it believes justifies its thin profit margins for devices. The results are the company’s third since it floated on the Hong Kong Stock Exchange last July, but investors were not as enamoured as might be expected, with shares falling by 5 per cent.